Heading Inland. 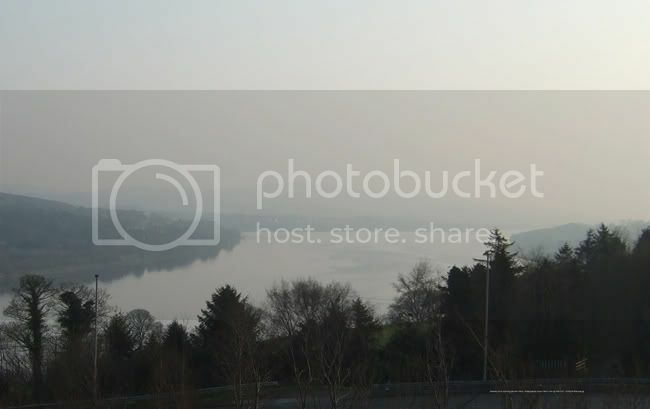 Up River Foyle from Derry. Photograph By Louis P. Burns aka Lugh © 2007. All Rights Reserved. One for danimik and delph_ambi here me thinks. I took this picture earlier this evening. If it inspires a poem or piece of prose, it would be brilliant if you guys joined in on here. We could put it into the Sensitize e-zine as a collaborative project when that side of things comes about. Wotcha reckon? Last edited by Louis P. Burns aka Lugh on Wed Nov 21, 2007 1:52 pm, edited 1 time in total. Very atmospheric photo. I'll let you know if I come up with any poetry/prose to go with it. Don't know if it really fits, but here's one, hot off the press. Derry/Londonderry, my hometown is also known as Doire Colmcille (Doire pronounced durrugh ~ roughly lol). Colmcille / St. Columba founded his first monastery here in 546AD. Recently, there have been a few plans to have some sort of giant statue of Colmcille either in the middle of the river or on its' bank so that anyone visiting the city can see it. I personally think that's a daft idea, but tourism being what tourism is, it will probably come to pass (sigh).